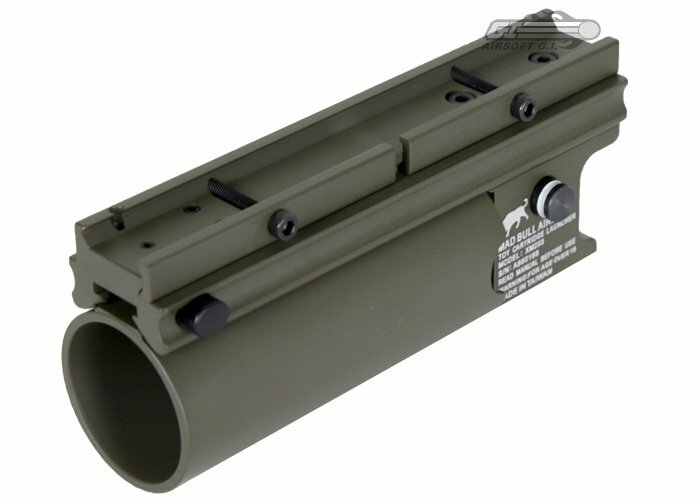 The Madbull XM203 Launcher for RIS is a unique design only from Madbull Airsoft. 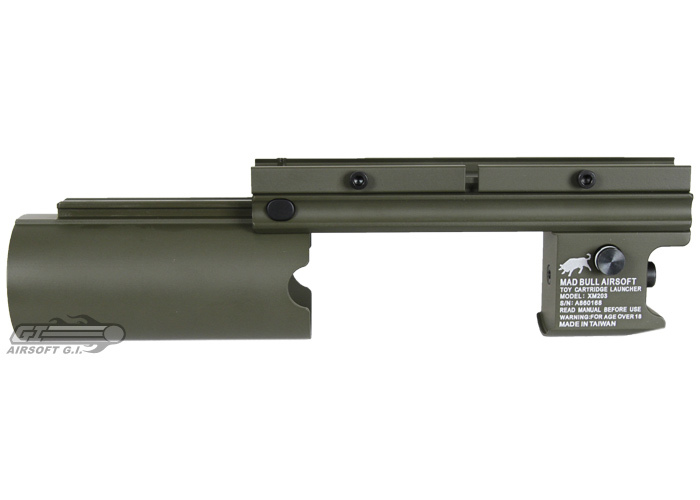 It attaches to the rail system with a screw mount, so it will fit most manufacturers rails. This is a solid unit made completely of metal. 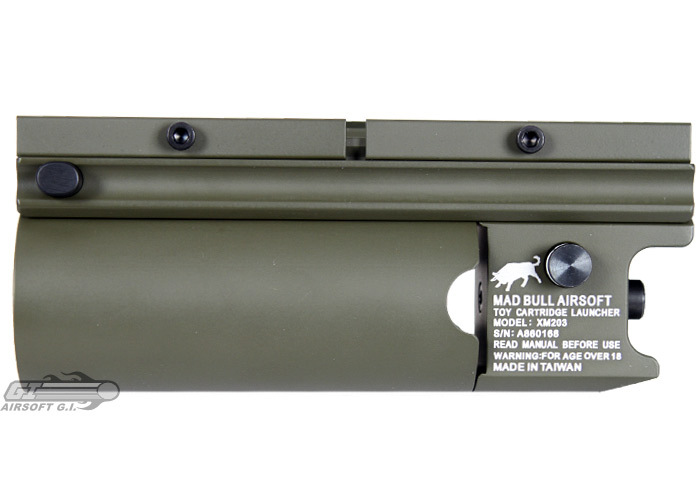 There is no better way to add menace and power to your gun than to add the Madbull XM203 BB Shower Grenade Launcher.